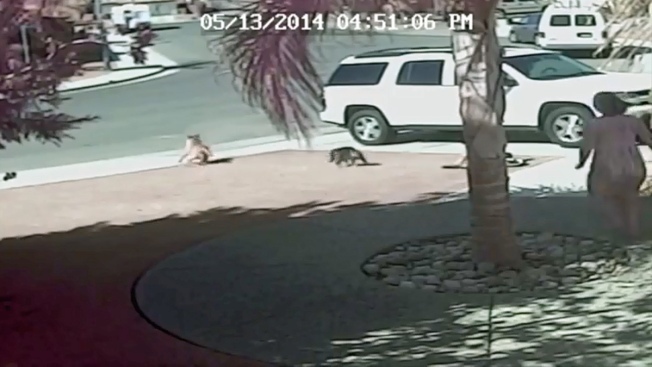 A cat saved the day for one California family Tuesday. 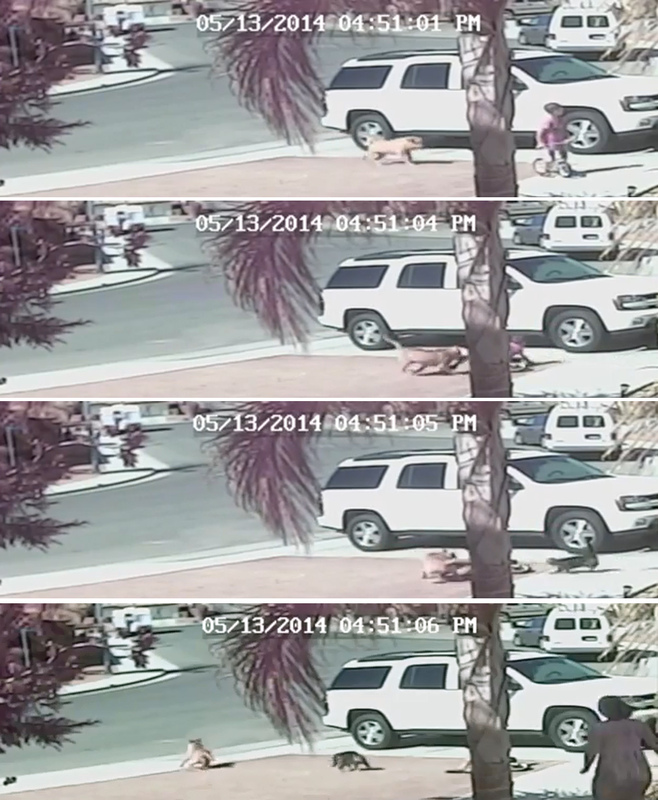 When a neighbor's dog attacked a 4-year-old boy in Bakersfield, California, the surprise rescuer was the family cat, the boy's mother says. Home security camera footage appears to show the neighbor's dog spying on the little boy from the other side of a parked car in the driveway of his house, according to a clip posted to YouTube. The dog crawls around the back of the vehicle, suddenly pouncing on the boy, clamping down on his leg. But the family cat, Tara, was not having any of it, going after the dog, not once, but twice. The boy’s mother, Erica Triantafilo, came running over to help. She told KGET she tried to chase the dog away, and it bit her, too. 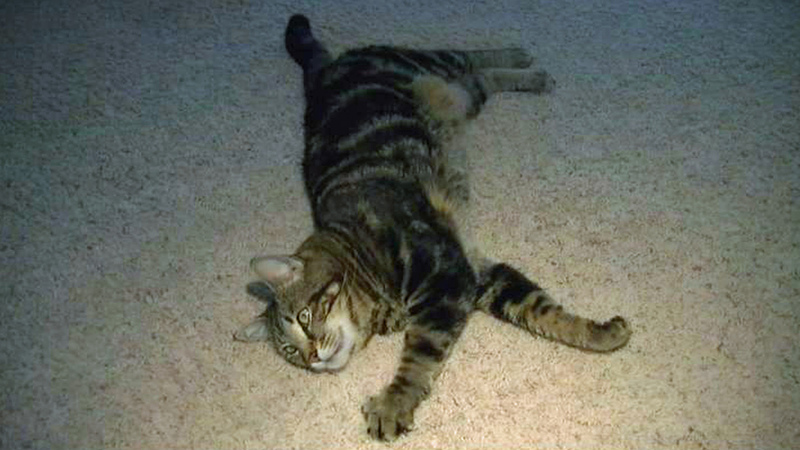 Tara the cat is seen in this image captured by KGET-TV, Wednesday, May 14, 2014. According to Bakersfield police, officers were dispatched to a house on the 10700 block of Eagle Vista Dr. at 3:54 p.m. regarding a dog bite. When officers arrived, they discovered that an approximately 8-month-old male Labrador/Chow mix had attacked the boy who was riding his bike in his family's driveway, police said. The dog approached the child from behind, grabbed the child's left leg, pulling the child to the ground and then down the driveway, police said. The boy was taken to the hospital where he received 10 stiches. “As a mother, I think every part of your brain shuts down except for 'I need to protect my child,'" Triantafilo said. Police said that when Triantafilo tried to chase the animal off the property, she was attacked by the dog as well but was not injured. The dog's owners voluntarily brought it to the Bakersfield Animal Care Center where it will be quarantined for 10 days then euthanized. Anyone with information regarding this case is encouraged to call the Bakersfield Animal Control at (661) 326-3436.